The well-stocked Hevik stand is ready to welcome visitors with an abundance of new accessories and motorcycle clothing that introduce the motorcyclist to a modern concept of motorcycling, focusing towards innovation and the future. Amongst the showcased surprises to be discovered, there will also be the official delivery of the limited edition clothing designed by Hevik that will be accompanying the travellers taking part in the Morocco Adventure, the Tour organized by GIVI Explorer and beginning in November 2018. A journey through a land of mysterious charm, where extreme weather and environmental conditions will put the brand's new products to the test. The motorcycle clothing produced by Hevik, which spans different motorcycling worlds, including adventure, café racer and urban, is immediately recognizable not only for the attention to detail and the quality of the materials, resulting in maximum safety and excellent practicality, but also for its striking appearance, in line with the latest fashion trends. 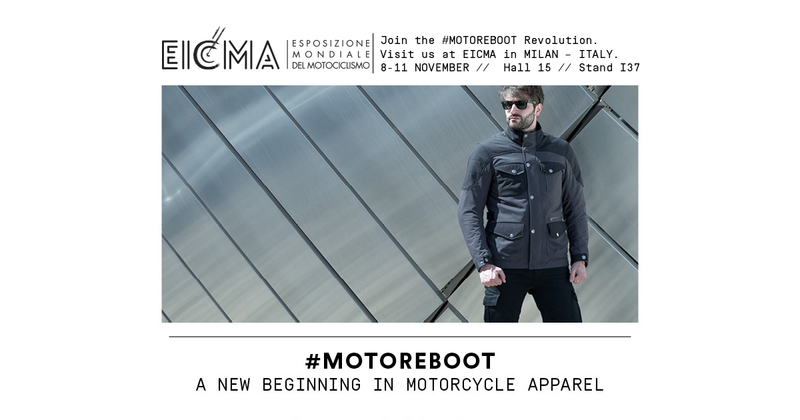 The event will take place at EICMA, Hall 15, Stand I37, from 6th to 7th of November for members of the press and from 8th to 11th November for two-wheel fans. For those wishing to fully experience the evolution of international motorcycling, this is truly an unmissable event.